From galaxies far, far away to the ocean depths, mythical lands of the future to denizens of the past – CGI allows movies to realise the craziest ideas of the most brilliant and visionary director. Over the last four decades some movies broke the CGI mould and pushed the industry forward. These films set the digital gold standard for the silver screen. Do you agree with our choices? 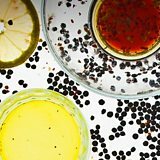 Let us know on Twitter @BBCiWonder or facebook.com/BBCiWonder. What does the world look like through a robot’s eyes? Director Michael Crichton's search for the answer to that question sparked the CGI revolution. 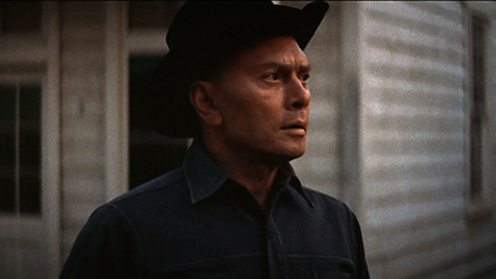 His story, of an adult theme park staffed by robots who turn on the human guests, called for "a bizarre, computerised image" to visualise the world as seen by Yul Brynner's menacing robot gunslinger. Several experts told Crichton it was impossible, but eventually he found an experimental computer graphics artist, John Whitney Jr, who was willing to take on the challenge. The resulting footage – just two minutes in all – took more than four months and tens of thousands of dollars to create. George Lucas' epic pioneered a series of visual effects and spawned industry legends Industrial Light and Magic (ILM). 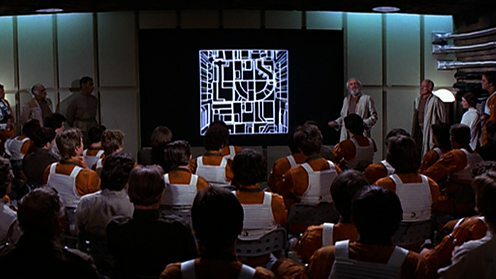 But the original Star Wars only contains the merest touch of CGI, and only in one scene – when rebel forces are briefed on their imminent attack on the Empire’s massive battle station, the Death Star. By logging the dimensions of miniature models of the Death Star into a computer, computer animation artist Larry Cuba generated a 3D line drawing of it. This kind of computer modelling has underpinned pretty much all CGI that has happened since. Steven Lisberger's tale of a computer hacker sucked into a dangerous digital world marked the first extensive use of CGI. 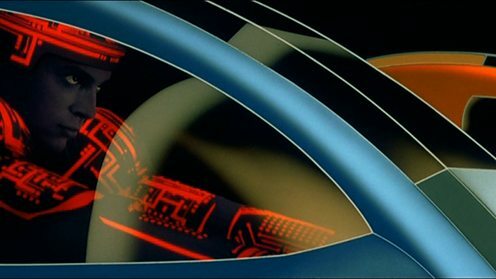 Set inside a dystopian computer world, the film features nearly 20 minutes of purely computer-generated moving images as well as over 200 scenes in which the backgrounds – landscapes, buildings and vehicles – were created by computer graphics. Even more extraordinary, these visuals – including the iconic light cycle racers – were achieved using a computer with just 2mb of ram. To put that into context, it's about 500 times less memory than a modern smartphone. 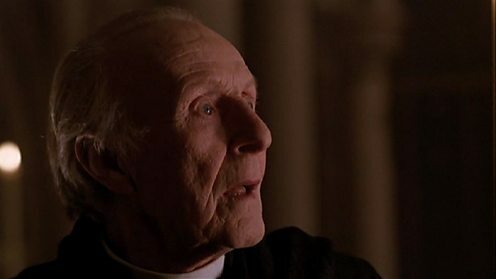 In a way, you had to be young, and you had to believe you could accomplish the impossible to make a film like that. Barry Levinson's Young Sherlock Holmes was the first time film-makers successfully blended live action and CGI seamlessly together in the same frame. In one scene, a stained glass window of a knight in armour suddenly transforms from a flat image into a moving, computer-generated man. The CGI glass knight thrusts his sword at the priest, who is played by an actor. The artists who created the sequence – which lasted just 30 seconds and took six months – included a young ILM employee called John Lasseter. Lasseter would go on to co-found Pixar, the CGI powerhouse responsible for Toy Story and many other award-winning features. From: Nelson Mandela: The last great liberator? In deep sea epic The Abyss, director James Cameron brought photo-realistic CGI water to cinema screens for the first time. A diving team encounters more than it bargained for when it is enlisted to track down a nuclear submarine in the depths of the ocean. Cameron's 'pseudopod' water creature was made by ILM who built new software that could generate the random shape and movement of waves. Actors’ expressions were scanned into a computer so that the software could re-create their faces in liquid form. The 75-second sequence took over six months to produce and bagged ILM an Oscar. It's Arthur Clarke's law that any sufficiently advanced technology is indistinguishable from magic. They were seeing something magical. Cameron pushed the boundaries again with his Terminator sequel Judgment Day. 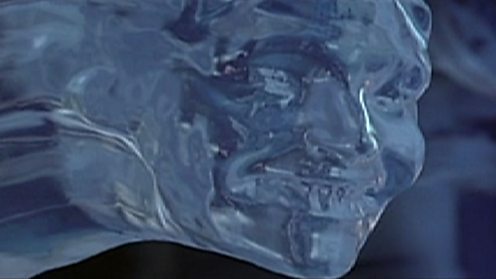 The T1000 robot was the first CGI main character. Using technology originally developed for The Abyss, Cameron and ILM set about turning actor Robert Patrick into a shape-shifting liquid metal killing machine from the future. 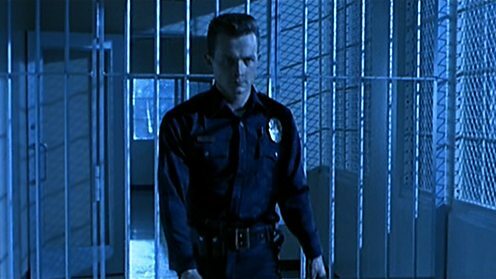 The T1000 robot was also realised using the new technology of motion capture, which allowed computers to translate Patrick’s movements into those of his on-screen CGI character. Patrick was partly chosen because his agility made his movements easier to capture. Steven Spielberg's blockbuster, based on Michael Crichton’s novel, was the first use of physically textured CGI to create photo-realistic animals. By this point, CGI technology was sophisticated enough to create surfaces that looked like real animal skin. Combining animatronics with digital imagery, ILM brought living, breathing dinosaurs onto cinema screens. The dinosaurs filled about 14 minutes of screen time – less than half of that using CGI. But the effect was phenomenal. 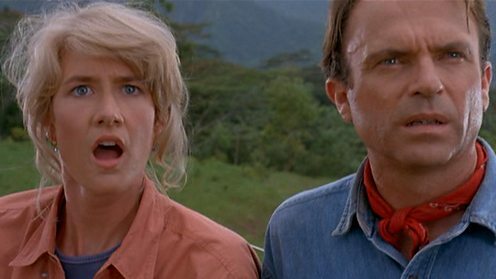 Jurassic Park became the highest grossing film of all time. See the 1994 visual effects Oscar winnersDo dinosaurs still live among us? Unlike the jaw-dropping sights in Jurassic Park, Forrest Gump used CGI to re-imagine more familiar historical scenes. Compositing – combining different visual elements from multiple sources to create a single image – had been around for decades. 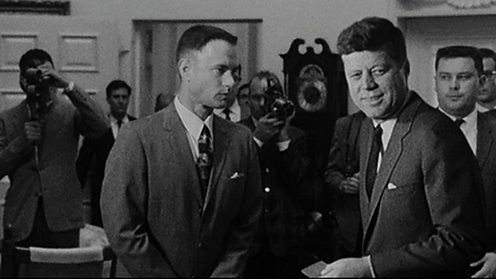 But CGI allowed Tom Hanks' naive protagonist, Forrest, to seemingly interact with luminaries including John F Kennedy and John Lennon, by inserting new mouth movements. Digital compositing is now routinely used by film-makers. 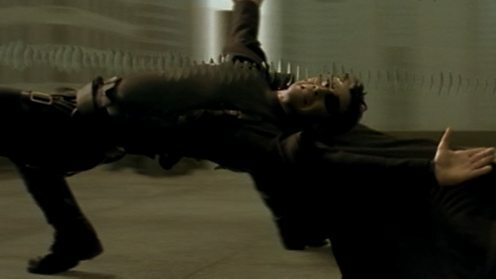 Directed by Andy and Lana Wachowski, The Matrix introduced a revolutionary way of capturing and processing action sequences. Famous for bringing ‘bullet time’ into cinemas, visual effects supervisor John Gaeta and his team set up a series of still cameras to take rapid sequential images. The images could then be digitally recomposed to create the stunning 'flow-mo' visuals in the film, using a technique called interpolation to fill in the gaps between the images. Gaeta and his team were rewarded for their breakthrough with the Oscar for best visual effects. Watch John Gaeta on the making of 'bullet time'How to stop time with a fan, two torches and a cameraCould you create bullet time effects on your smartphone? The second instalment of Peter Jackson's take on Tolkien's timeless trilogy was a major leap forward in motion capture. The Two Towers was the moment motion capture became performance capture. Now it wasn’t just the actors’ movements that could be transformed into CGI but the subtleties of their emotions too. 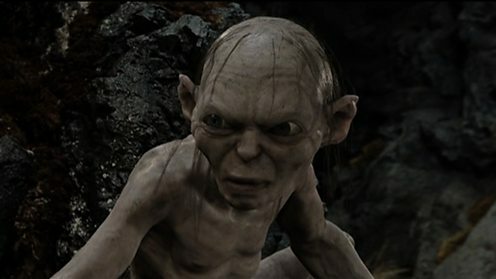 Andy Serkis, playing the twisted creature Gollum, could infuse the nuances of his performance into the final digital product. The trilogy as a whole is also noted for the use of artificially intelligent CGI orcs in the spectacular battle scenes. I wanted the monsters to feel real right down to the dirt under the fingernails of a Cave Troll or the bloodshot, bulging eyes of Gollum. Creating a realistic person in CGI is so difficult it has been described as the ‘holy grail’ of the visual effects industry. In bringing F Scott Fitzgerald's story of a man who lives his life in reverse to the screen, there was the extra problem of making the title character recognisably Brad Pitt, but much older. Technology used so effectively in Lord of the Rings did not capture enough detail to create a realistic human face. Digital Domain's visual effects artists used new technology and phosphorescent paint to forge a solution. Amazingly, for the first 52 minutes of the film, Benjamin’s head is entirely CGI. James Cameron first wrote the treatment for Avatar in 1995 but the technology back then couldn't deliver his vision of the story. A decade later, technology had progressed to the point where he could resurrect the project. Pandora, the world Cameron envisioned, was vast, beautiful and so detailed that a 10,000 square foot server farm ran 24 hours a day for more than a month to render the film. Even so, a single frame often took several hours, with 24 frames required to create just one second of footage. 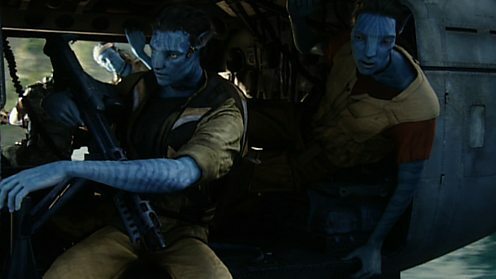 Performance capture enabled the films' stars to realistically portray the alien Na'vi people fighting for their homeland. The ideal movie technology is so advanced that it waves a magic wand and makes itself disappear. How do you portray life in zero gravity? Director Alfonso Cuaron enlisted London-based visual effects house Framestore to find the answer. And the solution they came up with was ingenious. Sandy's Cage, a 10m space with massive LED walls, allowed the film-makers to create a computer-generated environment in real time. The weightlessness of space meant actors had to be shown moving in any direction. 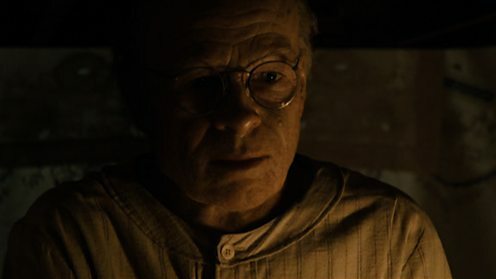 Sandy's Cage allowed the film-makers to replicate the shifting light patterns before digitally compositing the actors' faces – one of few elements to actually be captured on camera – into the awesome space environment the audience sees. 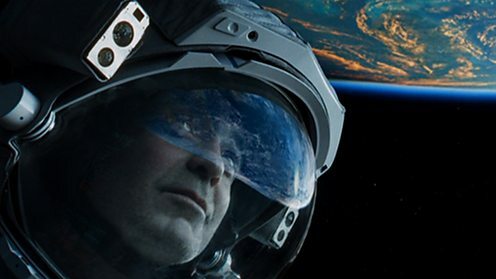 Framestore's take on their work on GravityWhat makes space travel so dangerous? Just as spectacular was Interstellar. Now VFX technology was not only creating amazing-looking films, but giving us new insights into our universe. 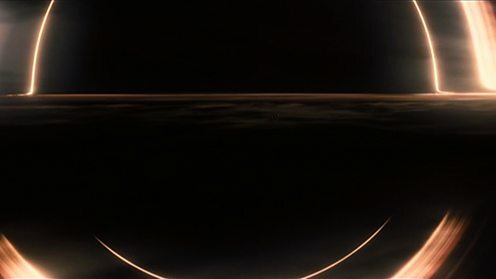 Christopher Nolan's vast space epic required visual effects company Double Negative to create black holes and wormholes. The team worked with astrophysicist Kip Thorne, and used his theoretical equations to completely rewrite their software. The world they created needed to reflect the laws governing the movement of light and space that are different from those operating on Earth. The resulting simulation is so realistic it led to the publication of an academic scientific paper. Building a black hole for InterstellarWill we ever travel in wormholes?What's it like in a black hole? Tell usWhat do you think? 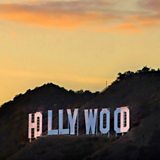 Which Hollywood movies feature the most ridiculous code? 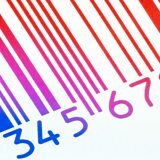 Is code the language that really runs the world?